You can purchase it at Harlequin Australia. Source: ARC kindly provided by the publisher. 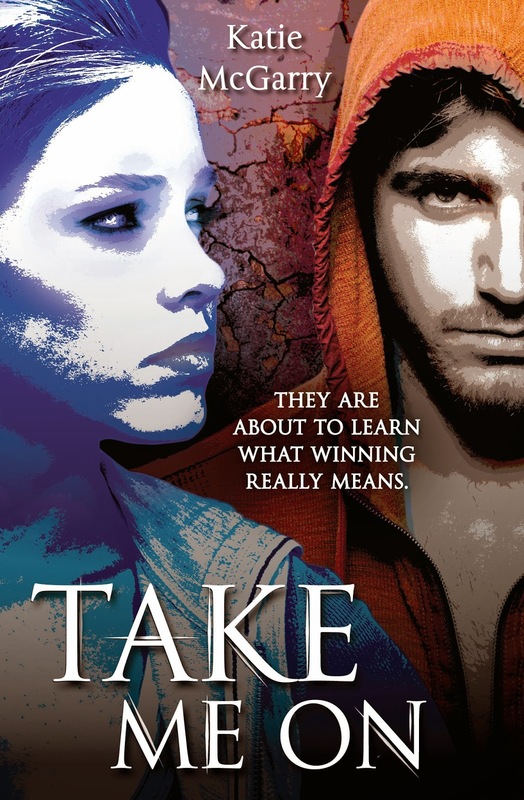 Take Me On is the fourth novel in the Pushing the Limits series. While each novel stands on its own merits, there are characters and events that are shared between the novels and I would recommend reading them in order. Take Me On is quite closely related to the previous title, Crash Into You, which tells the story of Rachel and Isaiah. Take Me On actually takes place during the Crash Into You timeline, and tells the story of Rachel’s brother West. After one fight too many, West is expelled from his exclusive school and is enrolled at the much less prestigious Eastlake High. With his father all but disowning him, West finds out just how tough it can be for those not lucky enough to have his privileged upbringing. After trying, and failing, to come to the rescue of a girl he sees being chased by thugs, West bumps into her at Eastlake and sparks fly. Haley has enough to worry about without West getting in her way. She’s dated fighters before and there’s no way she’s going back there again, with West or anyone. But when West falls foul of her ex-boyfriend she has to train him to fight, or see him destroyed in the ring. Training West will make Haley face things she’d rather ignore, and resisting his charms may prove impossible. Things I loved: Fan favourite Abby plays a sizeable role in the story, although she remains an enigma. Here’s hoping her story is told soon! The wonderful (and slightly interfering) Mrs Collins also makes an appearance. I want to be her when I grow up! The level of research that has gone into this book is amazing, I really felt immersed in the world of mixed martial arts (and I really want to be able to throw a punch combination like Haley). Throughout this series, McGarry has dealt with some pretty heavy issues and Take Me On is no exception. Along with West’s guilt over his role in Rachel’s accident, issues of domestic violence, homelessness and infidelity are also addressed. McGarry is not heavy-handed in her approach however, and these issues are approached with sensitivity. The story never becomes preachy. Take Me On is a wonderful addition to the series. West and Haley are seriously hot together and I just couldn’t put it down.